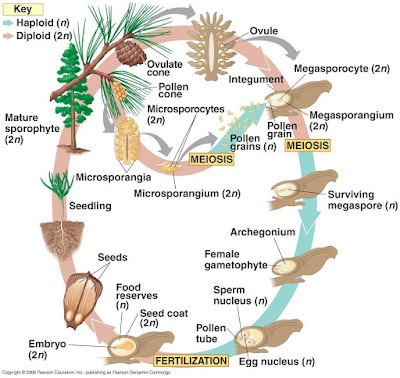 A gymnosperm is a seed plant that produces naked seeds. The seeds of gymnosperms are "naked" because they are not enclosed by any protective covering. Many gymnosperms have needlelike or scalelike leaves, and deep-growing root systems. Few kinds of gymnosperms are shrubs or vines, most are trees. 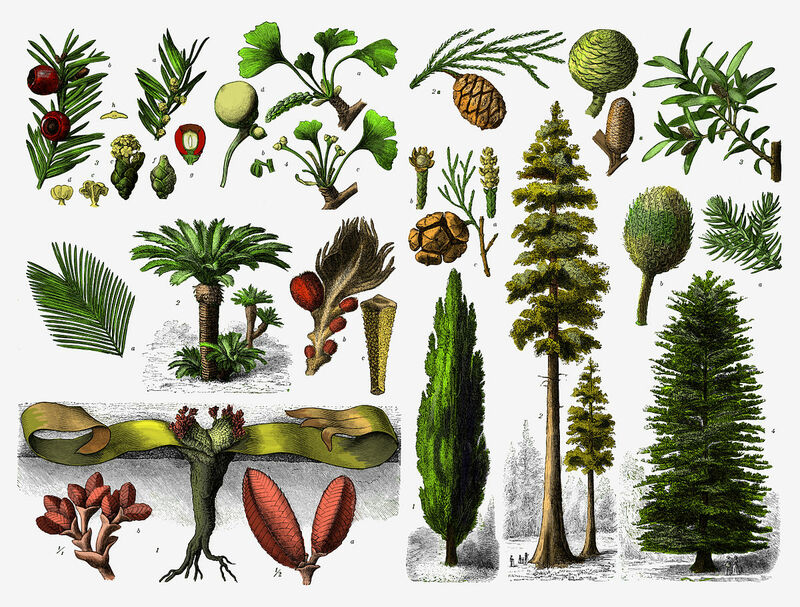 Gymnosperms are the oldest type of seed plant. Gymnosperms are classified into four group: the cycads, the ginkgo, the gnetophytes, and the conifers. Most gymnosperms have reproductive structures called cones. Cones are covered with scales. Most gymnosperms produce two types of cones: male cones and female cones. Male cones produce tiny grains of pollen. Pollen contains the microscopic cells that will later become sperm cells. Female cones contain at least one ovule at the base of each scale. An ovule is a structure that contains an egg cell. After fertilization occurs, the ovule develops into a seed. First, pollen falls from a male cone onto a female cone. In time, a sperm cell and an egg cell join together in an ovule on the female cone. After fertilization occurs, the zygote develops into the embryo part of the seed. Pollination is the transfer of pollen from male reproductive structure to a female reproductive structure.